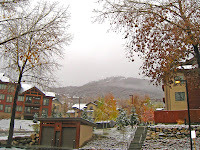 Last night, Steamboat got their first in-town snow! 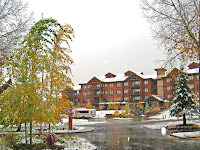 It was beautiful to wake up to a snow-covered landscape with the remaining fall colors poking through. 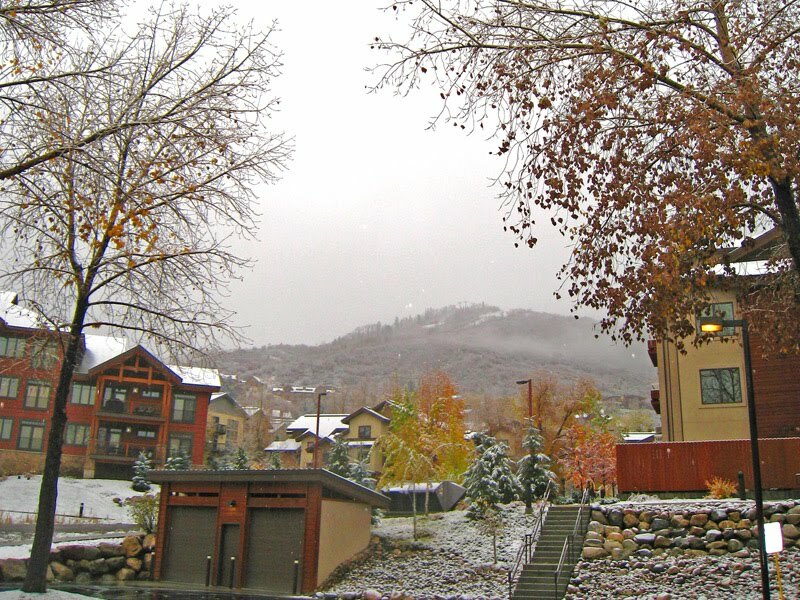 And, it came just in time for Halloween — a classic mountain Halloween where every costume has to be big enough to fit your winter parka underneath! 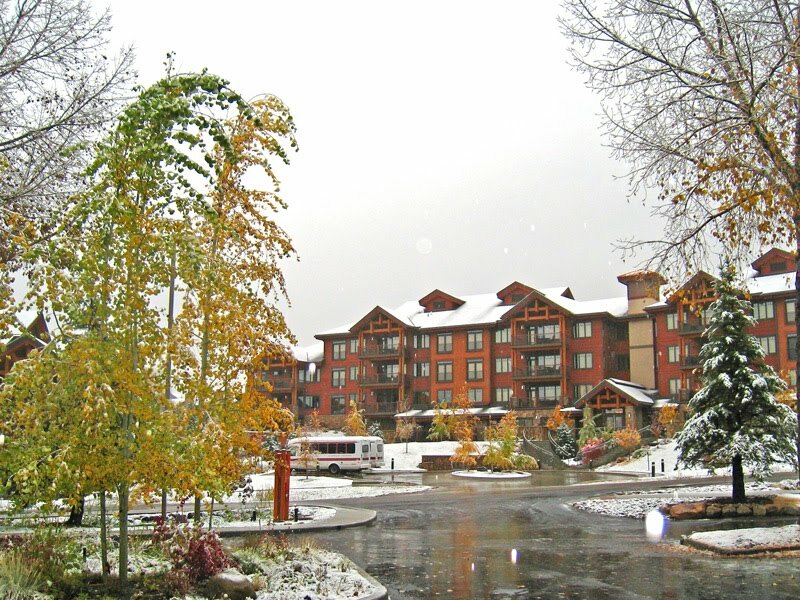 Check out the photos and don't forget to book your Steamboat Winter Vacation — see our best winter deal and book by October 30, 2010 to get up to 30% off lodging and 20% off lift tickets!